18,259 Miniatures Ready for Purchase Today! 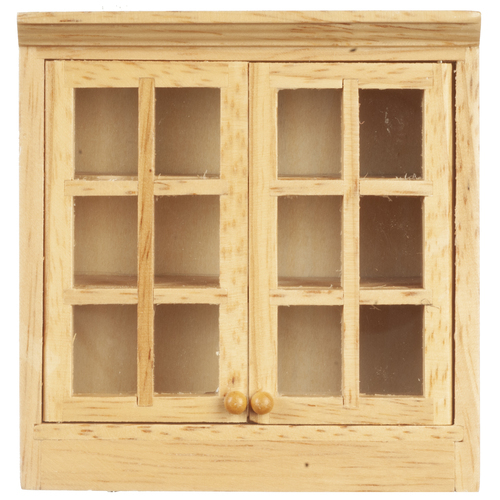 Upper Kitchen Cabinet - This dollhouse miniature Kitchen Cabinet is 1:12 scale and would make a great addition to your dollhouse miniature collection. This cabinet comes in an oak finish. We realize sometimes the miniatures you order are the wrong color, size or just not quite right for your dollhouse. So you can return any resalable item to us for for any reason and receive a marysminiatures.net store credit. Read the full policy here. Our loyalty program is simple and easy to use. The only requirement is that you always use the same email address for the discount to be added. This programs works like this: The table of discounts below applies to orders made in the previous month (i.e previous 31 days, not calendar month). This discount applies to sale items as well! Manufacturers may send us miniatures that differ slightly from the picture. If this happens, it is considered defective. Contact us to return the item if it is unacceptable. All measurements listed are approximate and may vary slightly. We do our best to correctly represent colors in our photos, but your computer/device may display colors in a different profile. Lastly, we cannot guarantee the reported stock is accurate. We update the stock levels of our miniatures several times daily, but they are not always accurate. Manufacturers may send us dollhouse miniatures that differ slightly from the picture. The most common dollhouse scale for miniatures is 1:12 (one-twelfth or one to twelve), which can also be referred to as 1 inch scale. The scale essentially means that a real life item 1 foot tall is 1 inch tall in 1:12 scale. All of the dollhouse miniatures in our store are 1:12 scale unless otherwise noted. Here is a 12 foot quick dollhouse scale chart and more information can be found HERE. This Kitchen Cabinet - Upper - Oak is supplied by Aztec Miniatures, which generally ships within 8 business day(s) of you placing your order . 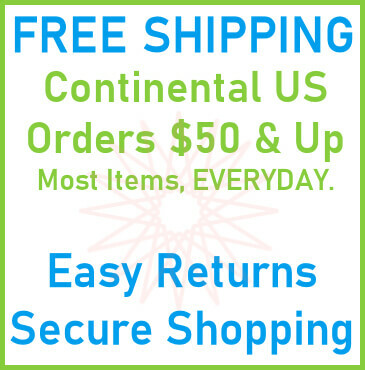 Free shipping is not offered for non-continental US orders. We ship via the United States Postal Service only. When your order ships you will receive an email with tracking for your package. You can use PayPal Bill Me Later by selecting PayPal as your payment in checkout. Sales tax is only applicable for orders shipping to the state of Georgia. Please note that reported stock levels are not always accurate and many of our vendors reported stock numbers can be inaccurate and are not guaranteed. If an item(s) you order is out of stock we will do our best to source it from another vendor. If we cannot, that item and additional shipping (if incurred) will be refunded when we ship the rest of your order. Established in 1972, Aztec Imports Inc. of Medina, Ohio is the leading wholesale distributor of Miniatures, Dollhouse and Accessories in America! Aztec Imports currently carries over 18,000 dollhouse miniature items to build, paint, furnish, electrify and accessorize your dollhouse with everything you need. We feature over 18,000 dollhouse miniatures from large number of manufacturers, distributors and miniature artisians from all over the world to bring you the largest selection of dollhouse miniatures on the web! I have just placed another order since I am very pleased with all items from the first order. I am happy to have found your site!! I received my itsy bitsey bottles of wine this morning, they are just adorable and the figure of the girl is amazing!!! Thank you so much, I am sure i will be getting in touch with you again real soon. Hi, received my order 10/16/2015. Everything is great! Just what I ordered plus the cute little quilted pillow you gave me. Greatly appreciated. Shipping was reasonable fast and very secure. My package arrived and I love everything. I was excited to find a gift included...how very nice of you! Thanks so much. Also, I really like the way you have your website set up...easy to navigate. I'm in the process of completing an ice cream parlor/bakery shop and having a really hard time finding just the right pieces to add. I was very pleased with my previous orders and am looking forward to more. I'm also planning my next project which will be an old time diner and see many items to purchase for it. Keep up the good work! Thank you for such a quick response! And, thank you for your assistance. Again, I was really impressed by your website and now, by your customer service! I, received my order today. I had been looking for items to finish our kitchen. I'm so happy I found them. The buffet and cabinets will enhance our dining room. The red chairs will make the white sofa standout. Dear Jack, I received my package today with the bathroom items I ordered. I LOVE THEM. Thank you so much for the fast update...Happy T'giving. Thank you so much! Merry Christmas to you too! Thank you so much for your rapid response. It has been a pleasure doing business with you! I'll be back. Thank you again Melanie. I sincerely appreciate your help and patience. Thank you for letting me know, my items did come quick and i am highly satisfied with them! Cant wait to get my other ones I was just curious on them other 2 items, thanks again for clearing that up for me! Thank you! I'm just excited to get the first furniture for my first dollhouse made from a kit! Hello – I received this refund on the shipping because my order was combined – THANK YOU!! Mary's Miniatures is a family owned business located in Woodbine, GA. on the Cumberland Island Coast.